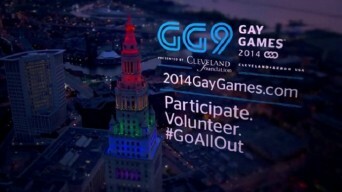 Anticipation is ramping up as Gay Games 9 is set to kick off August 9 in the Akron and Cleveland, Ohio, areas. The week-long event will feature over 11,000 athletes from around the world, all coming together to compete in a variety of sports ranging from badminton to darts to rowing to wrestling and (nearly) everything in between. I checked out the list of events and noted that, although diverse, the competitions don’t seem to be geared toward our natural lesbian skill sets. Sure, there’s softball and billiards, but where, I wondered are the events at which lesbians truly excel? While it may be a little late to work with the Gay Games 9 organizers to supplement the current sanctioned sporting competitions, I put together the following list of proposed activities for consideration for Gay Games 10 which will be held in Paris in 2018. Start training, ladies — the competition is likely to be fierce! Lace up those dancing shoes and get ready to boogie oogie oogie! As the music begins, show off your best dance moves, two-stepping, hustling and electric sliding up and down staircases and across the stage. Be careful not to get hung up with an audience member, though, because when the music stops, the race is on. Grab one of the cushioned host chairs and plop your booty in the seat while you can. Last woman standing is out of the competition. Just be careful not to take a seat too soon — if your back side touches down before the beat stops thumping, you’ll incur a penalty and be forced to participate in the next round with your shoelaces tied together. This one is for the movers and shakers — but mostly the movers. Grab your packing tape and bubble wrap and get ready to load up an entire one-bedroom apartment full of furniture, clothes and rainbow candles at breakneck speed. The clock is ticking as you assemble boxes, pack ‘em up and get them loaded into your U-Haul. Once your truck is filled, dash to the home of your new paramour — the one you started seeing two long weeks ago — and get your stuff unpacked as quickly as you can. This one’s all about speed, ladies, as you maneuver past unexpected obstacles — your new love’s ex who hasn’t quite yet gotten the message, a hasty and potentially heated negotiation about splitting the rent and a new house full of cats who don’t seem to get along all that well with your dog. You may have run an iron man, ladies, but nothing can prepare you for this ultimate survival ordeal. Join your competitors in a room filled with recliners and prepare to watch both seasons of “Orange is the New Black” back-to-back without a break. Can you keep your eyes open for 24 hours of non-stop prison action? Will your bladder withstand this ultimate binge-watching test? There’s no rest for the weary and no adult diapers allowed as you follow the shenanigans of the Litchfield prison crew in this decisive trial of lesbian fortitude. You’ve honed your skills at Melissa Etheridge concerts for the last two decades, but just how good are you really? Strum along on your imaginary guitar to classics like “Come to My Window,” “ I’m the Only One” and — the ultimate challenge — “Like the Way I Do.” There are no strings attached as you test your air guitar chops against Etheridge fanatics from around the globe. Judges score on both technical proficiency and artistic creativity, so you’d better get “Brave and Crazy” or there’ll be “No Souvenirs” for you in this event. Your week of competition culminates in the penultimate lesbian contest — an obstacle course in which your ex awaits at every turn. Scale walls, dive through tunnels and scurry under barbed wire all in an effort to dodge your ex at the local lesbian bar. The stakes get higher as the course goes on — there’s your ex and she looks pissed; it appears she really does want her CDs back. And wait — is that your ex with her new girlfriend? Test your agility, mental dexterity and aptitude for blending in with the crowd as you elude your ex and race to the finish line. There are really no winners in this competition, only those who live to dodge again. Posted July 2nd, 2014 & filed under Sports.